Effective and efficient communication is an important asset of every successful enterprise business. Another way of saying the same thing would be: having VoIP as your official mode of keeping-in-touch plays an important role in helping your enterprise prosper. In addition to the obvious benefit of cost-effectiveness, VoIP also has superior calling quality, along with many other features that make it better than traditional calling services. With VoIP, you get some exciting features that are nowhere to be found, even in the most sophisticated traditional calling systems. Selective call forwarding, personalized ring tones, voice over email, caller Id personalization, call holding, call screening, call blocking, faxing, dial by extension, FMFM or Find-me-follow-me, selective country or area code, click-to-call on a website, etc., are only some of the numerous things that puts VoIP above other communication choices for an enterprise company. These features and add-ons not only maximize performance but they are also key user-experience enhancements. Add them, along with the design simplicity and limited installation charges, and one can’t really think of many reasons to stick with traditional calling. We are inhabitants of a global village, and no matter who we want to reach out to, at any given time, we should not be faced with any boundaries. This is what VoIP ensures; the service area is completely virtualized and there are no geographical constraints. The country or area codes are not bound to any specific country or area and the flexibility is unequivocal. For instance, if you live in Canada and have a U.S. phone number subscription, you will be able to call numbers in the U.S. as if you are making domestic calls. This is hugely important for an enterprise company that spans multiple regions, countries, or even continents. Your company should be able to connect employees and customers seamlessly, no matter where they are located. 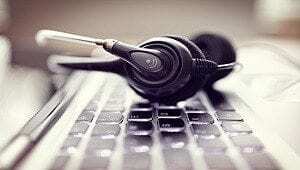 VoIP protocols (SIP or Session initiation protocol, H.323 etc.) occupy the application layer and that makes it very easy to carry out integrations or collaborations with other applications. Integrating VoIP with email, instant messenger, social media applications and web browsers etc. is seamless. Harnessing the power of these integrations creates a lot of value for your business. Examples include click-to-call services on websites, contact list presence information, delivering voicemail via emails, and so on. Of all the applications that can be integrated with VoIP, CRMs can be considered the most important for enterprise-level companies. CRMs, or customer relationship management software, act as important tools for companies to track and analyze their interactions and relationships with existing and potential customers. Integrating VoIP and making use of calling data can provide quality insight to the sales department and can, in turn, play a part in strategy formulation. Potential benefits are improved management and elevated levels of efficiency and customer satisfaction. Sales representatives are able to capture important customer information from a VoIP call that will be immediately and directly transferred to the CRM, for a seamless, efficient sales process. There is this great thing about phones that run via the internet: you can take them anywhere. 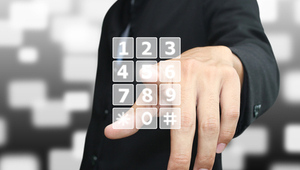 With VoIP, another great advantage is service mobility. As long as you have access to the internet, wherever you go, services like calling features, call logs, security features, voicemail access and service policy etc. will be available to you. Employees are always on the go these days and it’s of great importance not to miss a client call or important meeting. With mobile VoIP service, you are able to continue your life without missing a beat. Another reason why VoIP is necessary for your business is because it provides you with the advanced call routing features. With it, you can determine how you want to handle incoming calls. The most common way is with a welcome message comprised of an options menu that the caller has to select from. By harnessing the power of advanced call routing, customer satisfaction is destined to increase; customers love it when they get connected to the right department in the minimum amount of time. Moreover, this also eradicates the need to have a receptionist who has to manually direct calls to the concerned department, which is a saving on costs. Owing to the fact that the calls reach the right department quickly, overall productivity is also greatly increased, as customers spend less amount of time talking to personnel from the wrong department. There are two ways to maximize revenue: Increase profits or decrease expenditures. VoIP can help significantly with both. For the most part, the cost-effectiveness of VoIP is seen as its most evident feature. Obviously when you ‘bid adieu’ to the traditional switched telephony systems, long distance calls become cheap. Your traffic no longer makes its way across various wired line configurations; instead it travels via the internet or through private network lines. Apart from the operational costs, the installation and maintenance costs are also very low. Adding features or phone lines or users can all be handled via a computer or a browser which eradicates the need to pay for on-site technical assistance. Lastly, with VoIP, your users can get rich media communication features like presence (online, busy, away, offline etc. ), make video calls, send images, and use instant messaging. Providing all of these features to users is not possible when using traditional telephony, and it plays a huge role in enhancing quality of communication and efficiency. A business is as strong as the level of communication that its employees have amongst themselves and with their customers. A VoIP system doesn’t require a heavy investment but provides a business with features that provide long lasting benefits. The ability to reach anyone, anywhere, at any time helps employees maximize levels of productivity and efficiency. If you have finally decided to set up a VoIP system for your business, then here is a list of 10 features that you just can’t miss out on. Also, it’s of paramount importance that businesses pay enough attention to ensuring the security of a VoIP system and keeping it away from would-be digital attacks. Here’s an article that is worth-reading if you want to be sure your VoIP system stays safe and secure once installed. 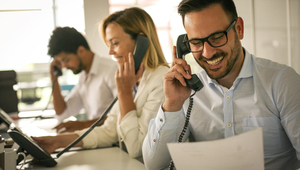 To learn more about the benefits of VoIP systems, and to find the best one for your business, check out these reviews of the top-rated VoIP systems. Be sure to leave your questions in the comments below!